Among them are Pivdenmash and Arsenal. 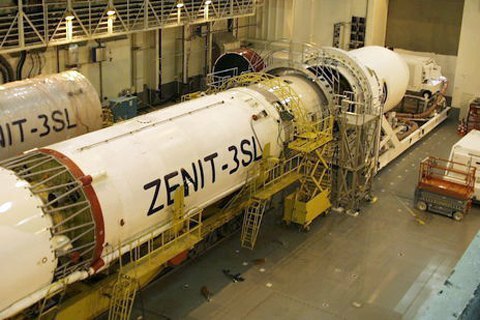 Pivdenmash (Yuzhmash) and the Arsenal plant are among the most unprofitable state-owned companies managed by the State Space Agency of Ukraine (SSAU), its chairman Pavlo Dehtyatenko has said in an interview with LB.ua. He also listed the most profitable companies. "The most unprofitable enterprises are Pvidenmash and the Arsenal plant. Several more state-owned enterprises are neither unprofitable nor profitable, working on the edge of profitability. Three state-owned companies are confidently profitable – the Pivdenne [Yuzhne] deisgn bureau, Kyivprylad and Kharkiv's Komunar," Dehtyarenko said. Pivdenmash has been in a deep crisis since 2013. In 2016, the state had to write off 400m hryvnyas of Pivdenmash's debt. In 2017, S7 Sea Launch Limited ordered Pivdenmash 12 rockets.